With busy schedules balancing a heavy course load of classes, extracurriculars and relationships, it’s easy to get overwhelmed and feel like you’re forgetting something. That’s where organization becomes key. In addition to important deadlines and test dates, it’s also critical to remember friends’ birthdays and that date you planned with you best friend months ago. As a college woman, you want to keep it together and make it look easy. Planners, lists, and sticky notes can help with that. 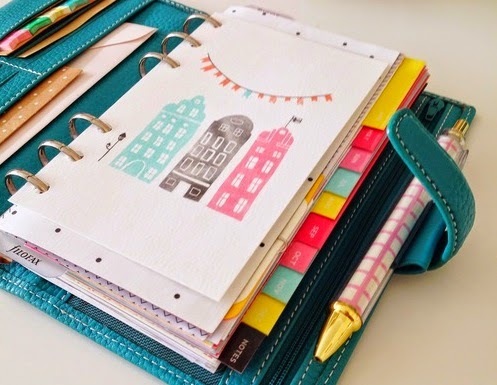 Have your planner with you at all times; anywhere and everywhere. It might seem unnecessary to carry it at all events, but it’s surprising how new plans can be made unexpectedly. Once you have your agenda, then follow through with it. Update it constantly as new plans are made and due dates are assigned, and check it regularly to make sure you don’t miss any important dates. Keep to-do lists everywhere if you have to. Just make sure to check each of them. Using sticky notes is also helpful in serving as a constant reminder of things to do. Written lists on paper, in your phone and on your laptop can keep you up-to-date with what is coming up and when you need to have a paper or project completed by. Whether you have an iPhone or not, there are apps out there to help you simplify your days. The iPhone has a reminders app to alert you of important meetings and dates, but for the non-iPhone users, there are similar apps. There are also apps to take study notes in, make flashcards and slides, or track various lists, from homework assignments to grocery shopping necessities. Keeping notes, binders and your laptop clearly labeled will simplify things for you when you’re looking for something. Use specific folders on you computer for better organization. Having a separate folder for each of your classes to save assignments in will make it easier for you to find those notes from the beginning of the year when studying for the final, and it’ll save you some stress. Labeling each class’s folder or using tabs in a binder to separate classwork by sections (notes, assignments, study guides, etc.) can help you keep things in an appropriate place so you can refer back to it when necessary. Sometime it’s necessary to relax and take a deep breath. At the beginning of each week, take a moment to think about what needs to be done and how you can get that accomplished. Start your week off with the right attitude by knowing what your priorities are, and when work needs to be completed.